This 48″ by 24″ sign is blue, red, black, and white. 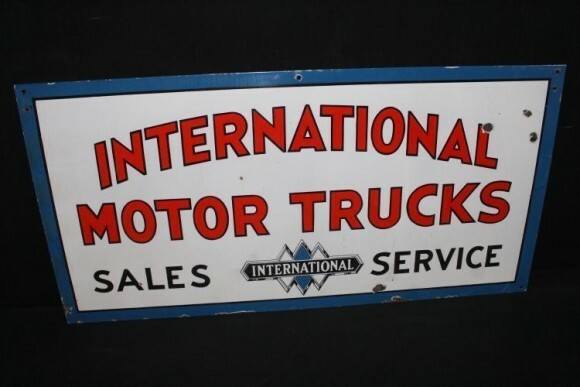 The sign is for International Harvester Motor Trucks and has the IH logo in the center. The sign has several mounting holes.